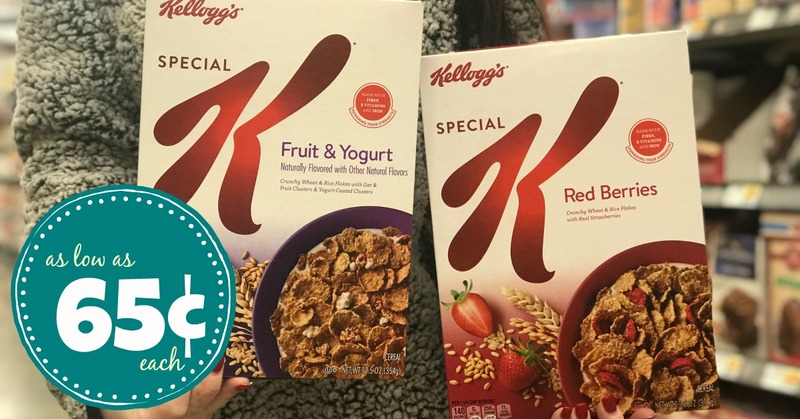 Kellogg's Special K Cereals as low as $0.65 each at Kroger!! Update: We have a limit 5 Ibotta Rebate to add to this awesome deals!! Thank you, awesome readers! I don't think we've seen Kellogg's Special K Cereals this low in about a year so I am happy to tell you that you can stock up again for as low as $0.65 each at Kroger for the next week. Anyone else not finding the digital coupon?? There is NO DIGITAL COUPON!!!! YOU KROGER CRAZY is crazy!!! Kyle, I don't see a digital coupon on my Kroger app either for Special K. This is misleading, false info on here all the time.